In the past season, Hearne has written new works for the Los Angeles Philharmonic, the European Contemporary Orchestra, A Far Cry, and the Albany Symphony. Other commissions include pieces for Yale University’s Glee Club and Symphony Orchestra, Ensemble Klang of The Netherlands, The Calder Quartet and Mantra Percussion, among others. Vocal ensemble Volti released his unaccompanied choral work Privilege for its latest commercial release. Upcoming commissions include works for eighth blackbird, Pittsburgh New Music Ensemble, Yarn/Wire, and The Crossing. Hearne’s Katrina Ballads, a modern-day oratorio with a primary source libretto, was awarded the 2009 Gaudeamus Prize and the recording, on New Amsterdam Records, was named one of the best classical albums of 2010 by several publications including The Washington Post. An engaged and imaginative collaborator, Hearne has worked with artists as diverse as composer J.G. Thirlwell, jazz vocalist Rene Marie, harpist/composer Zeena Parkins, renowned filmmaker Bill Morrison and French synth-pop band M83. His most recent collaboration paired him with hiphop/soul icon Erykah Badu, for whom he wrote an evening-length work combining new music with arrangements of songs from Badu’s 2008 record New Amerykah: Part One. Premiered by Badu with Alan Pierson and the Brooklyn Philharmonic at the Brooklyn Academy of Music (BAM) in two sold-out performances, the work was met with instant acclaim. Hearne is a member of the six-person composer collective Sleeping Giant, with whom he has created several collaborative pieces, most notably Histories, a companion piece to Stravinsky’s L’Histoire du soldat. His electronic/vocal duo with Philip White, R WE WHO R WE, has earned praise for its radical deconstructions of music from the pop landscape. 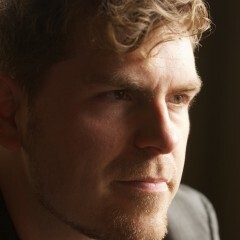 Active as a conductor and performer of contemporary music, Hearne has served as music director for the world premiere productions of theatrical works by David Lang and Michael Gordon and won acclaim for his vocal performance in contemporary operas including Jacob Cooper’s Timberbrit and James Ilgenfritz’s The Ticket that Exploded. His first album of indie-rock songs will be released on New Focus Recordings this fall. Hearne attended Manhattan School of Music and Yale School of Music. He has received fellowships from the Barlow Endowment, Fromm Music Foundation, American Academy of Arts and Letters, and ASCAP. He recently completed residencies at High Concept Laboratories in Chicago and at The MacDowell Colony.